The Judicial Panel on Multidistrict Litigation (JPML) is streamlining litigation for all federal cases alleging injury caused by the diabetes drug ACTOS®. These cases will now be brought under MDL No. 2299. On the basis of the papers filed and the hearing session held, the JPML found that eleven current actions involve common questions of fact, and that centralization in the Western District of Louisiana will serve the convenience of the parties and witnesses and promote the just and efficient conduct of this litigation. Each of the actions alleges claims arising from the use of Actos, a prescription medication approved by the FDA, for use in the treatment of type 2 diabetes. 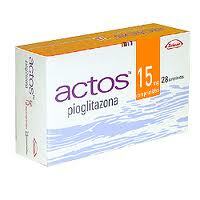 Plaintiffs allege that individuals who use Actos face an increased risk of developing bladder cancer. Plaintiffs further allege that the defendants concealed their knowledge of this risk and failed to provide adequate warnings to consumers and the health care community. Centralization will eliminate duplicative discovery, prevent inconsistent pretrial rulings, and conserve the resources of the parties, their counsel and the judiciary. The JPML was persuaded that the Western District of Louisiana is an appropriate transferee district for this litigation. The eleven cases are transferred to the Western District of Louisiana and assigned to the Honorable Rebecca F. Doherty for coordinated or consolidated pretrial proceedings in that district. Read more here on the Actos litigation and visit my website for more information.